3/4R Did it float or sink? Last week, we tested whether these objects floated or sank when put in water. Today, you will be looking at your results and thinking about why objects either sink or float. WALT: analyse collected data and suggest explanations (reasons) for your results. TIB: it is important to explain and justify our thoughts so others can consider our ideas as important and relevant. include a title – Did it float or sink? Include your name under the title. answer the 6 questions using a new popple for each. For example: 1 = 5 of my predictions were correct. How many of your predictions were correct? Did your predictions get better or stay the same? Look at the objects that sank. Describe them. Do they have anything in common with one another? Look at the objects that floated. Describe them. Do they have anything in common with one another? 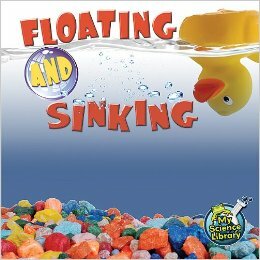 Based on your results, why do you think some things float and some sink? We had fun testing what objects float and what sink. Something that surprised us was that some heavy things float and some light things sink. For example, the cork surprised us by floating.